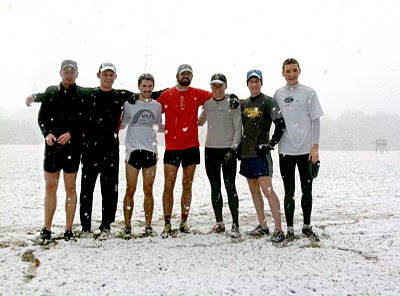 GEORGETOWN RUNNING CLUB: GRC Race Season Starts This Weekend! I to plan to run 11 miles on Saturday, and would be much obliged if someone cared to help me push the pace to around 5:40 or 5:35 for five of those miles. Doggonit if I've never been to the Chevy Chase store, but I reckon there are plenty of good places to run around there, bein' close to the park and all. Does Race season preclude drinking season? I am hitting the pub(s) tomorrow post-work if anyone is interested. probably the Dupont area. I will be (starting) at Buffalo Billiards circa 6pm...if anyone is interested.